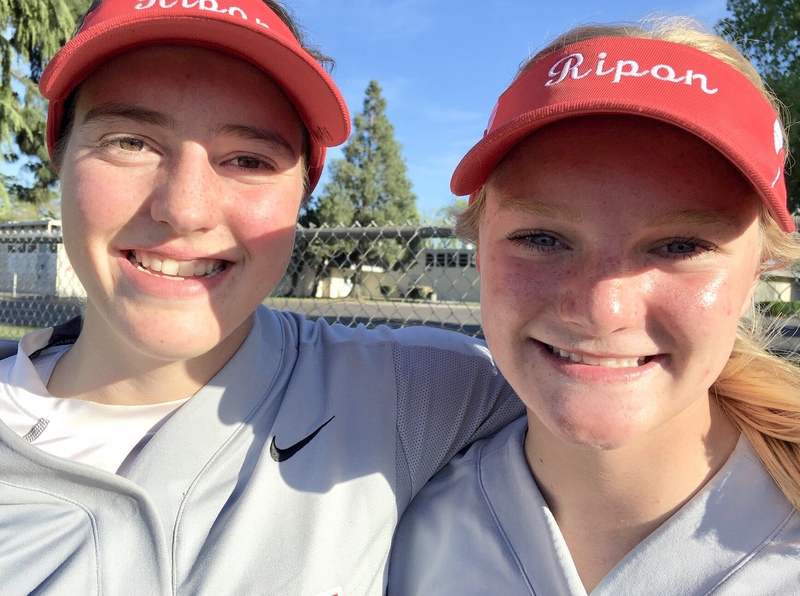 Mackenzie Hutchinson (left) and Caitlynn Campbell of Ripon tripled in a 3-1 victory over Escalon on Wednesday, April 10, 2019. ESCALON – Something weird figured to happen Wednesday. The norm almost never exists between Ripon and Escalon, two old rivals once again vying for control in the Trans-Valley League. Sure enough, Ripon plated two runs on a flyout – yes, a fly-ball out – the difference in the unbeaten Indians’ 3-1 victory that handed them full control of the TVL race. “It’s insane,” Ripon coach Robert Vernon said as he assessed the two Ripon-Escalon games this season. 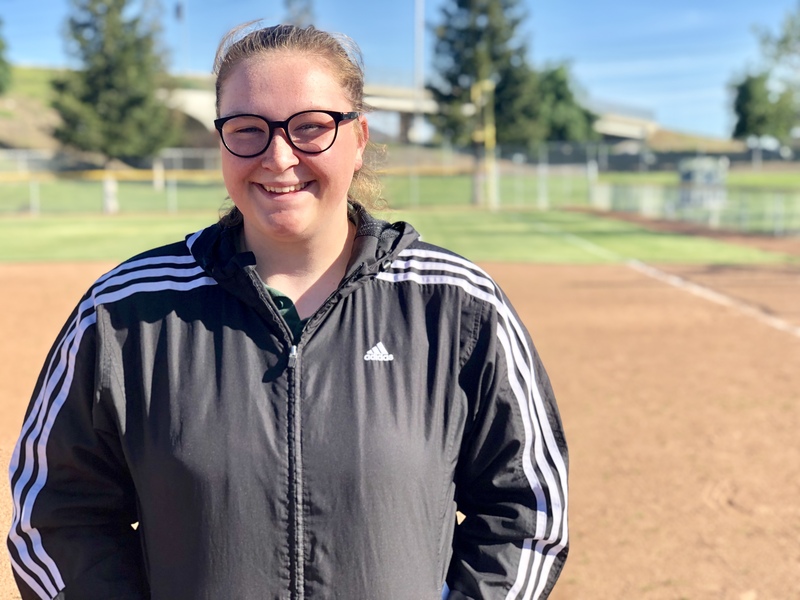 Ripon sophomore Sydney Thomason, locked in a tight duel against Escalon’s Arabella Strach, went the distance and allowed six hits during the Indians’ 3-1 win. Ripon (13-0, 7-0) loaded the bases with one out in the fifth, leading to Lilly Mejia’s fly to deep center. Escalon sophomore Brooke Campbell worked hard to negotiate the brisk cross-wind for the catch, and freshman Caitlynn Campbell tagged up and scored easily. But Rhylee Magazinovic, another freshman, only accelerated as she rounded third and sped home. 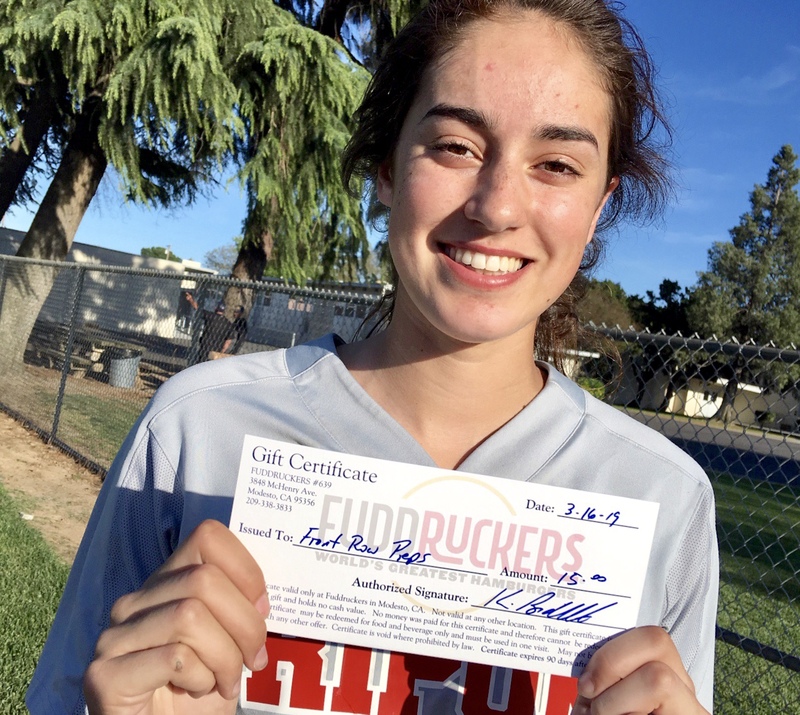 The rematch, dominated by pitchers Sydney Thomason of Ripon and Escalon senior Arabella Strach, hardly resembled Ripon’s wild 9-8 nine-inning win on March 15. That game, ended by McKenna Daley’s walkoff homer, marked Escalon’s first TVL loss in three years. The Cougars’ second loss to Ripon almost guarantees a change in the TVL’s balance of power. Escalon (7-6-1, 4-2) is the two-time reigning league champion and also the Sac-Joaquin Section D-V winner the last two years. Thomason, a tall sophomore, sustained Ripon’s momentum with a steady performance featuring five strikeouts. She’s allowed only two runs in her last four games. Strach countered with 11 strikeouts. Ripon contained the Escalon attack via two double plays and other timely defense. 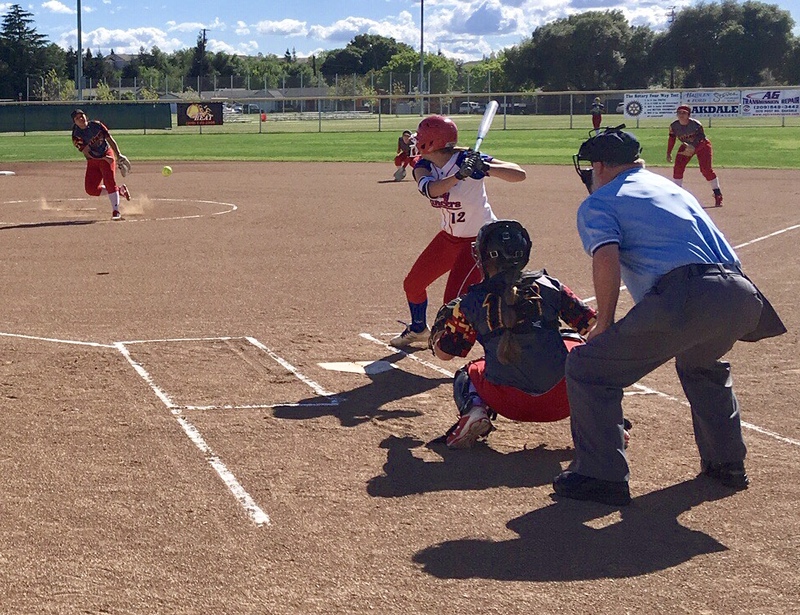 The Cougars’ Marissa Gonzalez doubled in the seventh, but Daley – the Ripon second baseman – dove to her left to spear Malia Babasa’s well-struck ground ball for the out. Thomason then retired Lexy Underwood on a fly ball for the final out, leaving the dangerous Strach in the on-deck circle. “We didn’t want that No. 3 hitter (Strach) to come back out there,” Thomason said. Ripon’s thump on offense proved decisive in both games. Caitlynn Campbell and Mackenzie Hutchinson tripled, scored and ignited both rallies. The reward for the Indians is a two-game lead in the TVL with five left. A caveat: Weirdness does happen, as we’ve seen. Sydney Thomason and Mackenzie Hutchinson. Arabella Strach and Hannah Boyd. Ripon – Lilly Mejia 2 RBIs; Hutchinson 3b, run; Caitlynn Campbell 3b, RBI, run; Bianca Toledo 3b. 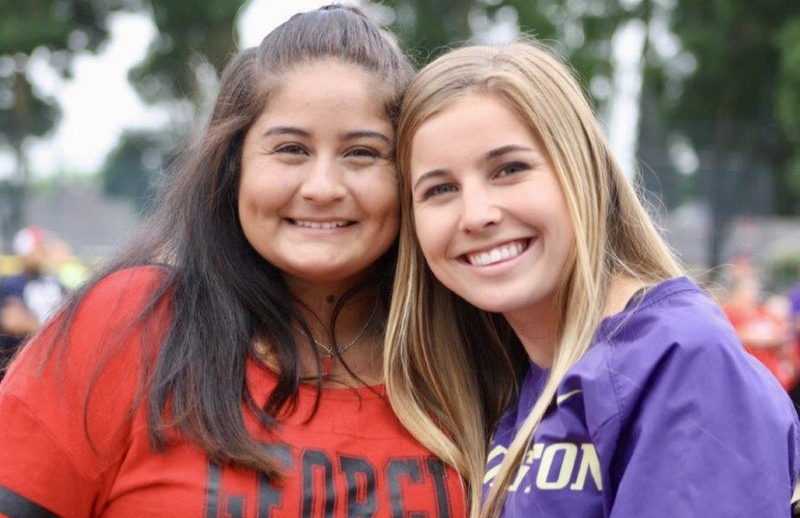 Escalon – Brooke Campbell RBI 1b; Brooke Davis 2b; Marissa Gonzalez 2b. 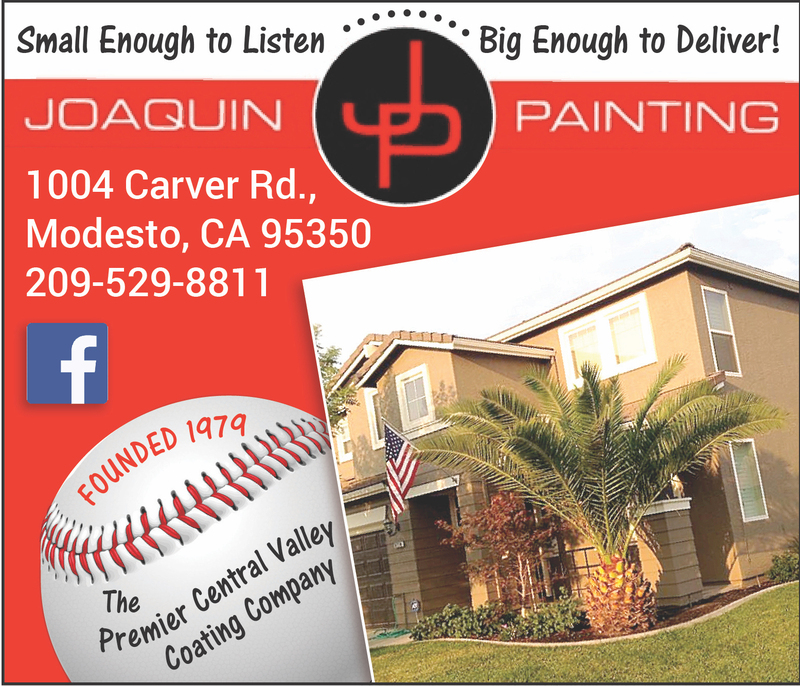 Records – Ripon 13-0, 7-0 TVL; Escalon 7-6-1, 4-2 TVL.